The Dirt Track Racing Kickstarter from Big Ant Studios is nearing the $20,000 pledged mark at the time of writing, with a target of $266,000 with 24 days remaining. Can a dirt racing game hit such a backing total. We hope so! 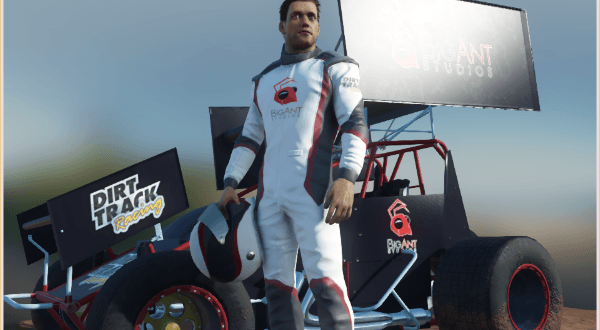 With a pedigree in the genre with titles such as Road to Knoxville, Road to Eldora and World of Outlaws Sprint Cars, Big Ant Studios have certainly shows their commitment to this type of racing. They have also shown they are capable of covering multiple platforms with this proposed release with previous games being on the PlayStation 2, PlayStation 3 and Xbox 360 platforms. Big Ant explain in their kickstarter page that they are very keen for the project to be community driven. Allowing backers to play early access Steam builds, take part in community polls to drive design choices and have input in vehicle handling choices. 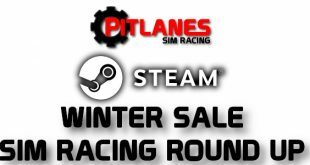 With backing options starting from $5 and a mere $29 pledge allowing you a copy of the game on PC, it’s not a bad price to jump in and get involved and support this all to ignored section of the racing world. If you would like to back this project, please jump over to their kickstarter page by clicking right here!